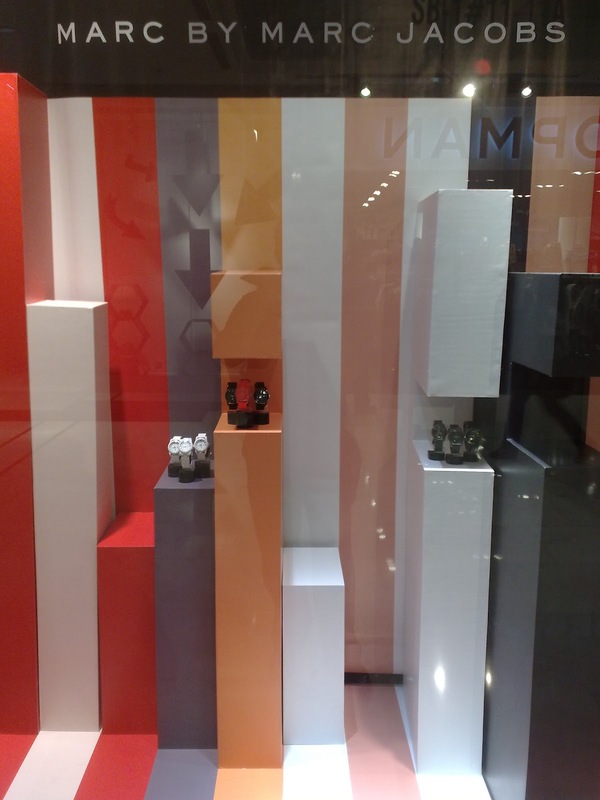 Urban Icon window display is now being decorated with colorful stripe blocks. This special arrangement is dedicated to one of this watch store's brands that Marc by Marc Jacobs. The concept is unique but the way those watches displayed is not so excellent.